The history of blackjack goes back all the way to the early 17th century. The first record of the game is mentioned in a book by Miguel de Cervantes, the author of the classic “Don Quixote”. In another of his books, he mentions the game “Ventiuno” which is Spanish for 21. The idea of the game was to get the closest to 21 without going over. After being introduced to the United States proprietors of gambling houses, in an effort to entice players, decided to offer a bonus whereby if the player was dealt the Ace of Spades with a black jack (club or spades) then they were payed 10-1 on their wager. This reference stuck and the game was henceforth known as “Blackjack”. The basic rules of Blackjack are pretty straightforward, you try to get as close to 21 without going over in an effort to beat the dealer. You are dealt 2 cards, both face up. the dealer is dealt one card face up and another face down. You must judge whether or not to take more cards based on the dealers “up”card. Face cards are worth a value of 10 points, Aces count as either 1 or 11 and other cards are the value they traditionally represent 2, 3, 4 and so on. While the basic play of Blackjack is relatively easy there are a variety of rules that take some time to get used to and to master. For instance, when you receive your 2 cards and the dealer has dealt their cards to themselves there are a number of other “plays” you may elect to make. As most casinos force the dealer to keep “hitting” or taking cards until they reach a minimum of 17 these options or “plays”can increase your chance of winning or increase the amount won. Some of these plays such as “splitting” your cards if you receive 2 cards of the same denomination and “doubling down” to increase your wager are wholly dependent on the situation and on what the dealer may be showing with his “up” card. If you elect to take another card this is known as “hitting”and staying put is known as a “stand”. There a wide variety of nuances and intricacies to the game that will reveal themselves over time. 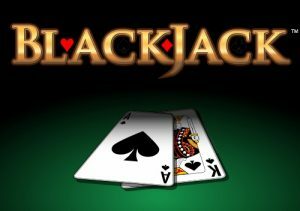 There are a wide variety of online casinos that allow you to play Blackjack on your mobile device. You can choose to play for real of virtual money and it is a great way to learn how to play the game without having to risk anything or to get a feel for the game before heading out to brick and mortar casino. Not long after Blackjack became popular very intelligent people realized there was a flaw in the game that gave them a distinct edge over the house. If you kept track of the amount of high value cards in the deck you could increase your wager when the deck was “rich” and had many face cards or minimize the wagers when the deck had less high cards. This was known as “card counting”. Casinos have since made it much more difficult to perform this feat by adding more decks of cards to the “shoe” or the apparatus that hold the cards. Most now have 5 decks of cards. If Blackjack is not your speed then you can also learn to play the wide variety of poker games that exist. 5 and 7 card Stud, Omaha or the “Cadillac of Poker” -Texas Hold em to name just a few. Most live casinos offer various forms of Blackjack. Head out and check out one of the many variations that offered by your local casino. The fun and excitement found by playing live cannot be matched.